Product prices and availability are accurate as of 2019-04-09 11:23:21 EDT and are subject to change. Any price and availability information displayed on http://www.amazon.com/ at the time of purchase will apply to the purchase of this product. 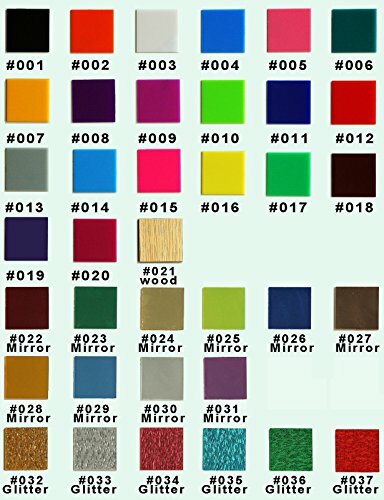 It is made of acrylic, several colors for choose, handmade item, can custom any text according to customers'request, Please make sure to provide all information you need by message when place the orders. 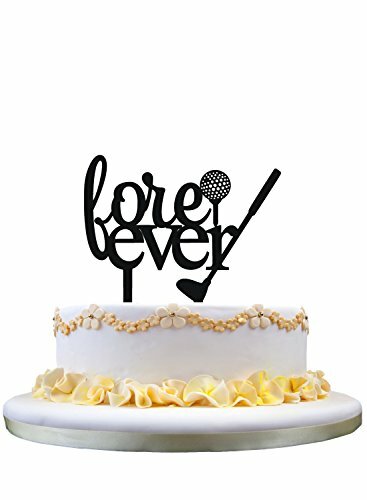 Cake toppers for any occasion: weddings, birthdays, just because, and anything you can dream of! We can do custom words. Pay Attention:Custom one we do not agree with return After sale:Any question,please contact me and we will try our best to solve your problem. Material: Acrylic ( Friendly food safety). Sizes of your cake topper will be 5" to 6" Side to side, 3.5" To 5" top to bottom.suit for 6inch cake There's only black color cake topper in amazon inventory, if you want to custom one, please leave the message to us for all of your custom requests. Your cake topper will be ready in just one or Two business day. Please note: there is a protective film which looks like paper covering the cake topper, it is not wrong color, please remove the film to see the right black color.